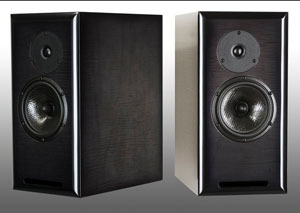 After the overwhelmingly positive response to our PowerPlay Monitors, we decided to do a passive version of the same speaker. With an F3 of 43Hz, these monitors can be used either in surround duty or for main left and right speakers in a very competent music system. 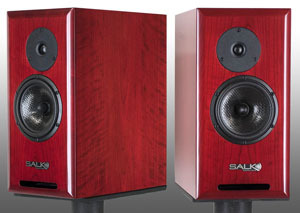 Features the incomparable 3/4" Hiquphon dome tweeter for super-smooth, non-fatiguing treble. With 6" woofers, the SongSurround Plus design can move more air down low in order to produce deeper bass with powerful impact. 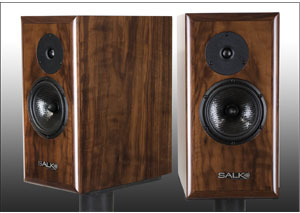 From the moment I plugged them in all I can say is WOW!!! Even my lousiest recorded cd’s I can listen to. In fact that is all I want to do. I can listen to these for hours and not be bored or fatigued. Custom veneer or automotive finishes quoted on request. ** Standard finishes include curly maple, curly cherry, curly walnut, oak and straight mahogany. Wood veneers can also be dyed. So, for example, you can have deep rose-red curly cherry or electric blue curly maple. See gallery for examples.